A new study gives weight to what anglers on Lake Erie and Lake Ontario have suspected for years: Smallmouth bass have made hay since the round goby invaded both lakes, and the predators appear to be fatter for it. Managers had noticed the same thing, so Crane and his colleagues from the New York State Department of Environmental Conservation and SUNY-ESF put some numbers to it for a study recently . 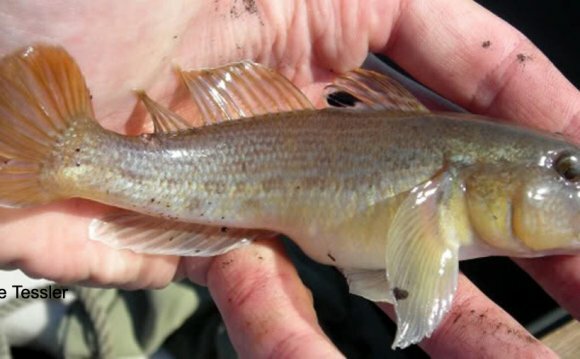 They looked at nearly 20 years of data gathered by the DEC on weights and lengths of four species from before and after the goby invasion — one of the most successful invasions in Great Lakes history. Smallmouth showed the clearest post-invasion weight boost, followed by yellow perch. The improved condition of smallmouth makes sense. The species has keyed in on gobies, which one study found made up 75 percent of Lake Erie smallmouth diet. Smallmouth bass like rocky habitat and feed on forage like crayfish. Round gobies also like coarse rocky areas, and they’re a benthic prey. 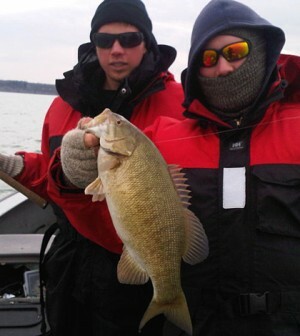 In Lake Erie, younger smallmouth appear to have gained the most. On average, something like a 6-inch bass caught today would be around 17 percent heavier than one caught before the gobies arrived. But bass around 19 inches and longer would look about the same. On the other hand, 19-inch-and-larger bass in Lake Ontario showed the biggest gain, coming in at around 12 percent greater mass than pre-invasion fish.